THE crime for which this man most justly suffered was attended with extraordinary acts of cruelty, and such as we have not often had occasion to describe. The inhabitants of Narbeth, a small village in the county of Pembroke, were, in the middle of the night, alarmed with the appearance of fire, bursting from a farm- house near the turnpike. Before they could render assistance the house was nearly reduced to the ground, and the family were missing. On examining the ruins the remains of the owner, Mr. Thomas, an old and respectable farmer, were found on a bench, in a leaning posture; but so much burnt that it was impossible to determine whether he had been first murdered, or had perished by the merciless flames. Proceeding in the search, the next unhappy victim found was his niece, a fine woman of about thirty years of age, whose body lay across the feet of a half-burnt bedstead, with a thigh broken, and an arm missing. Among the ruins of another room was the body of a labouring man, much burnt, but with a large wound on the back of his head, from which much blood had issued. Mr. Thomas's servant-woman, who was very robust, was found dead at the entrance into one of the rooms, with several deep wounds in her head, and her hair clotted with blood. Her body was not so much burnt as the others; and near her was found the large kitchen spit, half bent, with which it was conjectured she had opposed the murderers. 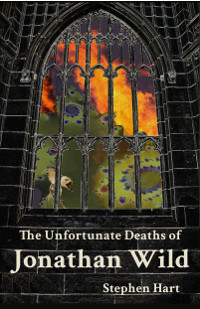 It was now evident that the house had been broke open, the inhabitants murdered, and then set on fire. Some money was found in a drawer, which it is supposed the villains overlooked; but considerable property appeared to have been stolen. So horrible a deed, in so peaceable a country as Wales, alarmed the whole nation, and every search was made after the murderers. A man of the name of John Morris, a lazy suspicious character, and who had already been charged with different offences, was apprehended, under great cause of suspicion; and, while carrying him to gaol, he suddenly sprang from the constables, and threw himself into a coal-pit, and was killed. At length suspicion fell on one Morgan Phillips, who, finding himself generally thought guilty, and apprehensive that full proof would be brought against him, confessed that he, in company with the above mentioned John Morris, broke into the house of Farmer Thomas, murdered the family, robbed it, as they conceived, of all the cash, and different portable articles, and afterwards set it on fire. On his trial this confession being read, and by the prisoner himself acknowledged to be true, and a variety of corroborating proofs being likewise brought forward, the jury had very little hesitation in finding him guilty; and Morgan Phillips was accordingly executed at Haverfordwest on the 5th of April, 1779, amid the execrations of every honest Welchman.